As mentioned in the previous two articles, professional boxers have to adapt their training, fighting style and nutritional methods in order to optimally perform in an Olympic boxing format. If not prepared and adapted appropriately, these factors can affect the mindset of a professional boxer by pushing themselves out of their comfort zone. In this article, we will look at how the different formats in competition can affect confidence, motivation and anxiety control. Superstitious or not, most boxers will have their individual pre-fight routines to make sure they are relaxed, reduce tension and are focussed for the competition ahead. Professional boxers entering the Olympics will have to cope with a lot of differences in the amateur ranks. On the day weigh-ins, vest tops, standardised ring walk, bigger gloves, shorter bouts and competing numerous times in a short period of time. All the home comforts of a professional boxer is thrown out of the window. This can make an athlete nervous, anxious and tense. The rule to allow professional boxers has been announced less than 100 days before the opening ceremony for the Olympics. This means that professional boxers will not have been working towards winning an Olympic Gold, their current goals will be to win titles and make money. 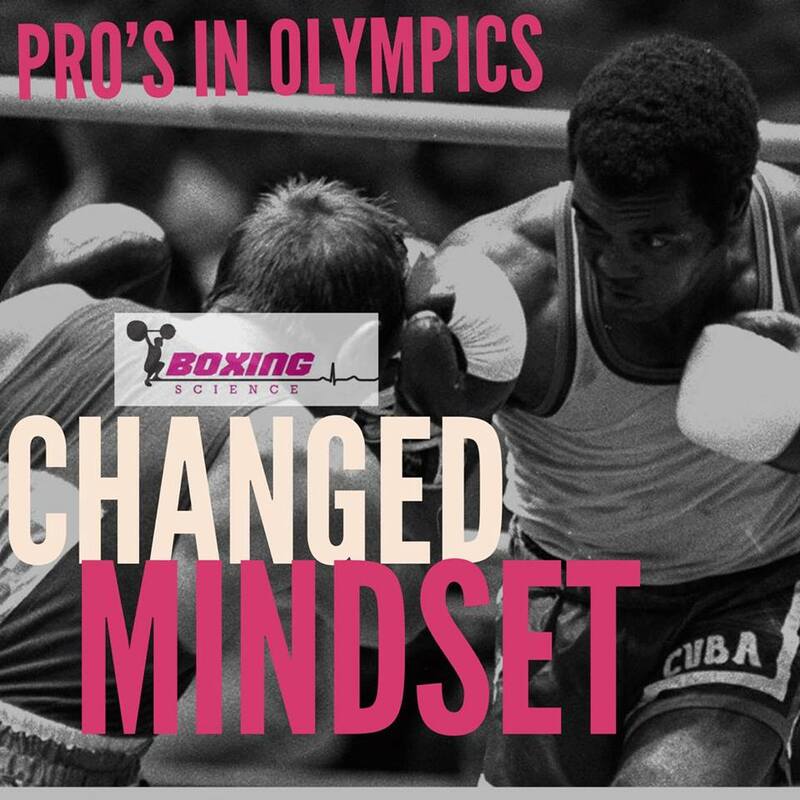 Amateur boxers could have been working towards the Olympics for the past 4-8 years, showing a burning desire to achieve their goals. Professionals may not experience this same desire to win the gold, so when the going gets tough the amateur boxer may shine through. How could the Olympics motivate a professional boxer? So we have outlined this may not be a long-term ambition for professional boxers, but what are the motivations for the pro’s to enter. Olympic athletes often get paid by governing bodies or sponsorships, and medal winners getting a cash price of between $10,000-$30,000 dollars. This is considerably less than a top-level professional boxer, who could earn £50,000 just for one fight, with world champions getting well over £100,000 per fight. Would a professional boxer be motivated to box in the Olympics with no or limited financial benefit? Maybe it is good self-promotion, with the likes of Anthony Joshua, Amir Khan and James Degale having fantastic profiles before joining the professional ranks. However, this has helped the early days of fighters, would a professional see the same raise in profile after winning the Olympics? A professional boxer would have to be intrinsically motivated to win the Gold medal, completing an achievement / ambition to win the Gold medal. Just turned professional and boxing 4-6 rounds. Had a good amateur background – national/international experience. Walks around just 1-3 kg above their competitive weight. Regularly spars and competes at high intensities – ‘come forward style’. Intrinsically motivated to win a Gold medal. Has a sport science team to help adapt physically and technically, as well as applying effective nutritionand sport psychology methods. Has a marketing strategy to promote their Olympic conquest. 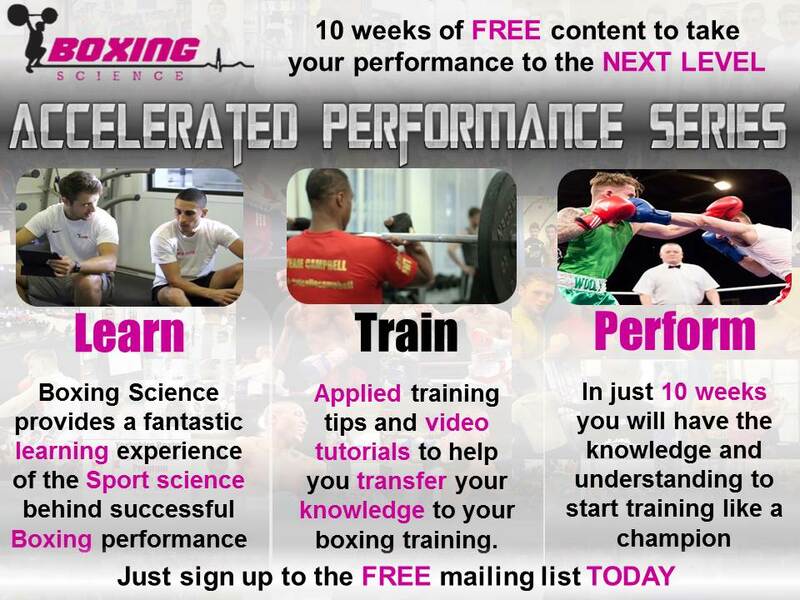 Then you should sign up to the Accelerated Performance Series to recieve 10 weeks of FREE learning content.